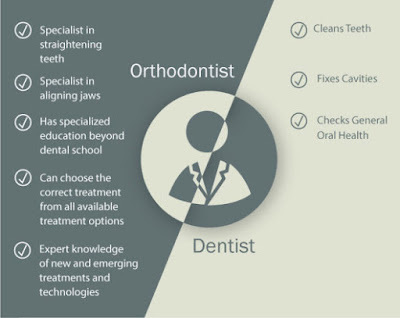 Orthodontists and dentists both help patients improve their oral health, but in different ways. 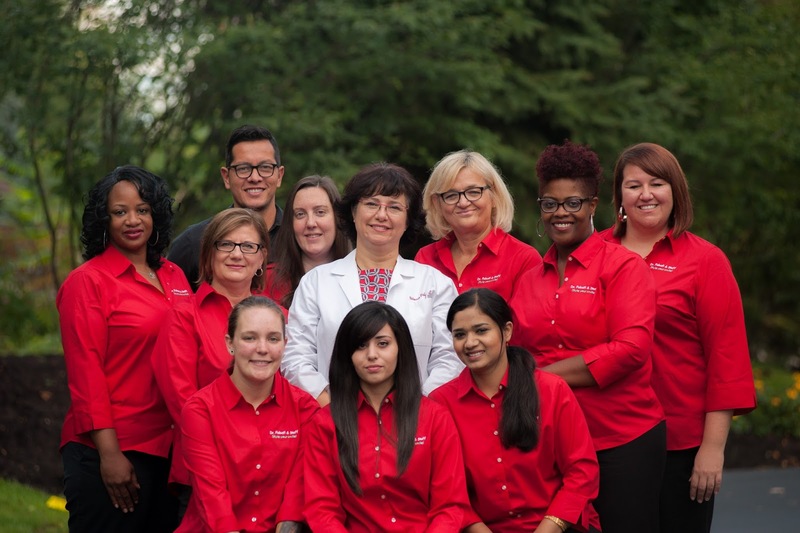 Dentistry is a broad medical specialty that deals with the teeth, gum, nerves, and jaw, while orthodontics is a specialty within dentistry that focuses on correcting bites, occlusion, and the straightness of teeth. One important difference is that all orthodontists are dentists, but not all dentists are licensed orthodontists. The main similarity between a dentist and an orthodontist is that they both focus on oral care. An orthodontist can work in a dental office and provide the same care as a dentist. So in this respect, they are quite similar. They are both considered doctors, and deal with the teeth and gums. While a dentist may be trained to provide orthodontic care in addition to extractions, TMJ treatemnts, and fillings, trusting your smile to an orthodontist can better balance the different procedures you require. Call us today at 716-631-2166 to set up your free consultation! April won our basket in the raffle! A basket of dental supplies was donated to Homestead 64 for their annual spaghetti dinner auction event. 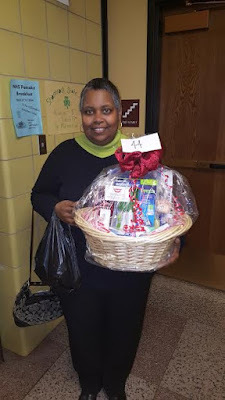 Congratulations to April, who was the lucky winner of our basket! The proceeds will fund extra-curricular activities at the school. Tell your family and friends how much you love our office! Refer them to our office and be entered to win a family 4 pack of movie tickets and popcorn. Make sure to have them call quickly to schedule their consultation! 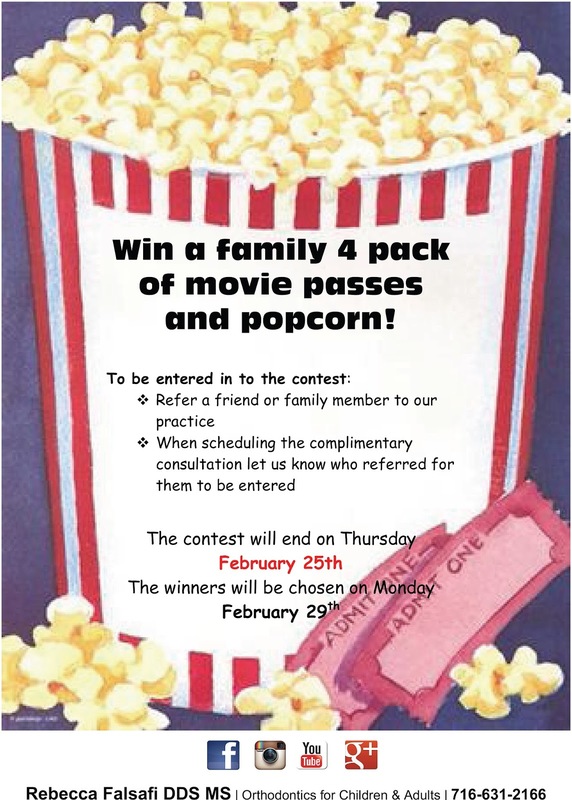 The contest is over February 25th! Welcome to Dr. Rebecca Falsafi's Blog! 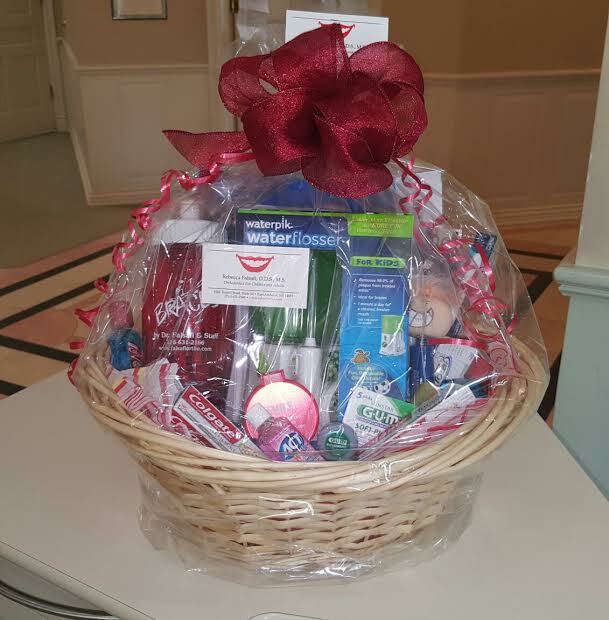 Rebecca Falsafi and her highly qualified staff have been creating beautiful smiles for the past 20 years! We understand what a significant difference in health and self-esteem a beautiful smile can make, which is why we provide exceptional orthodontic treatment for children, teens and adults in East Amherst, Williamsville, Clarence, Lockport and the surrounding communities.